Trying to identify this little critter - can you help ? It's better to post these on the main site: the forums don't see much activity. 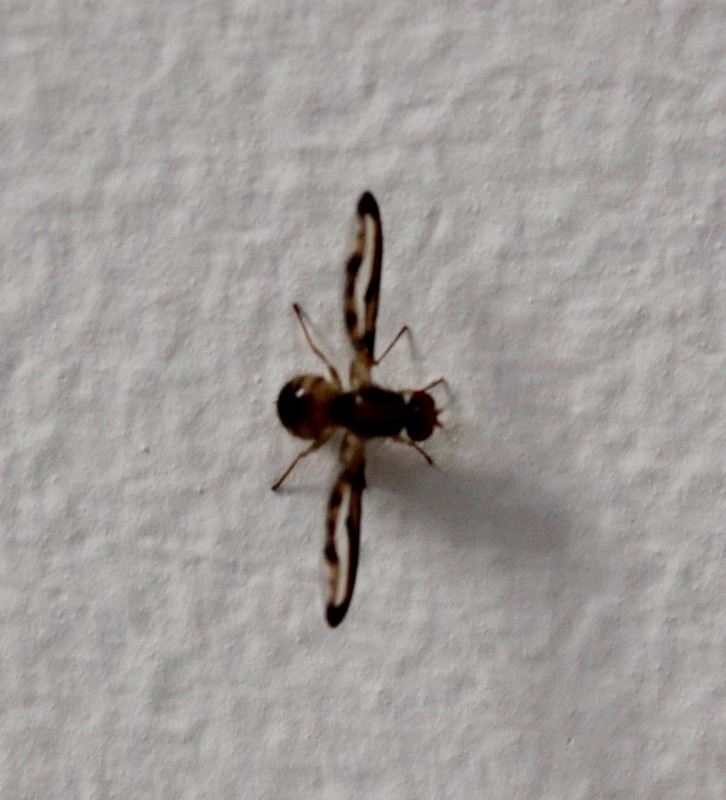 At a guess, it's one of the Pallopteridae ("Trembling-wing Flies"). Yes, looks right https://www.ispotnature.org/communities/uk-and-ireland/view/observation/19886/fly-with-odd-wings - see other Obs too. welcome here stanlmic and LOVELY Picture but DO post it on the main site - please. Far more people will see it.